TOODLES: Hey, hey! 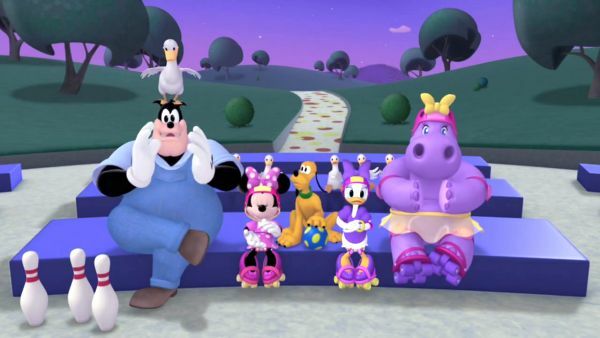 Everyone's at Mickey Park! Let's go! MICKEY MOUSE: Oh, boy! It's time to show off our special talents! CLARABELLE: Oh! Ahem. Hello, everybody! Welcome to show your special talent! DAISY: Oh, goody, goody! PETE: Now you're talking! 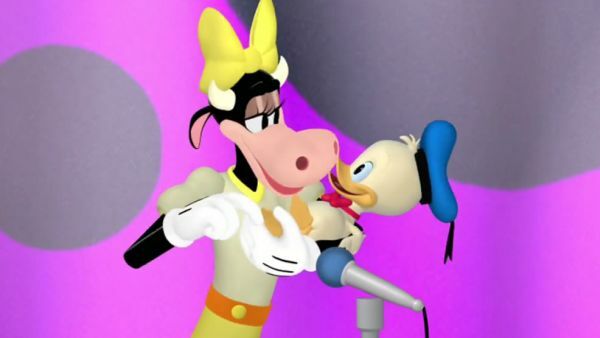 CLARABELLE: Oh, how adorable! GOOFY: Okeydokey! DONALD DUCK: Come on, come on! 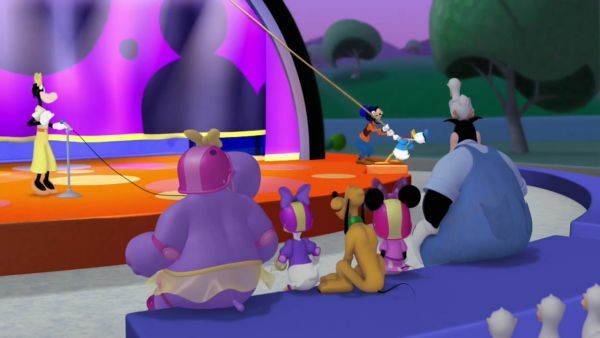 GOOFY: One curtain going up! MINNIE: Oh, my! DAISY: Oh, no! GOOFY: Help! DONALD DUCK: Get us down! 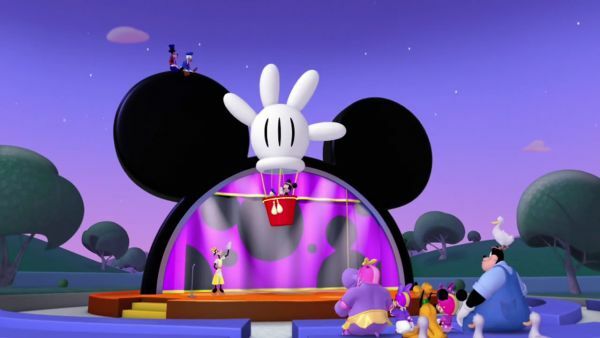 MICKEY MOUSE: Uh-oh! Hold on! CLARABELLE: Oh, my goodness! We need to get them down! 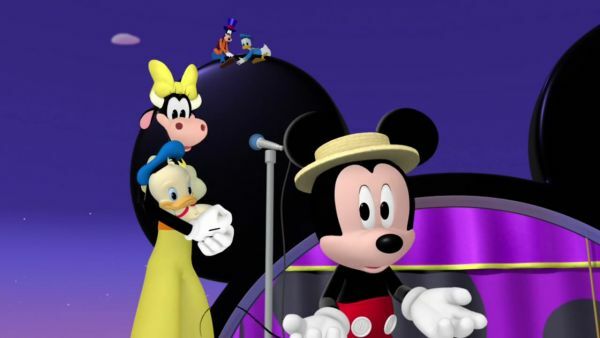 MICKEY MOUSE: Maybe there's a Mouseketool that can help us! Quick! Everybody say: oh, toodles! ALL: Oh, toodles! TOODLES: Here's toodles! 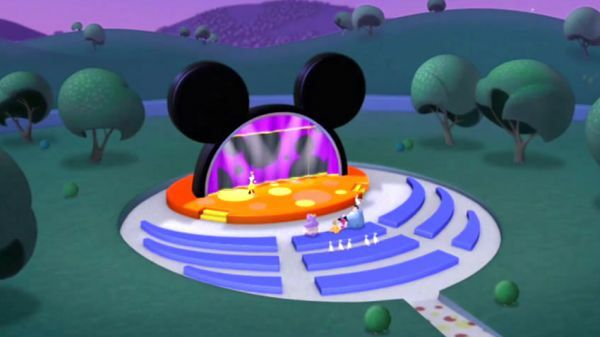 MICKEY MOUSE: All we have left is the mystery Mouseketool! Everybody say: mystery Mouseketool! ALL: Mystery Mouseketool! CLARABELLE: And today's mystery mouseketool is the glove balloon! We can fly up in it and bring the boys back down! Moo-arvelous! We've picked all our Mouseketools! Say: super cheers! 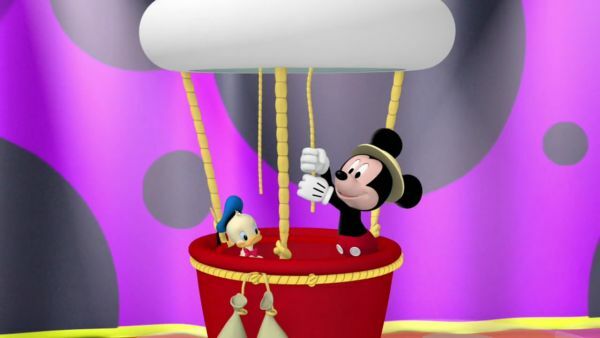 MICKEY MOUSE: Help me fly the glove balloon to the top of the curtain. Grab the rope like this. Now pull! It's working! Keep pulling! Pull, pull, pull! Pull, pull, pull! 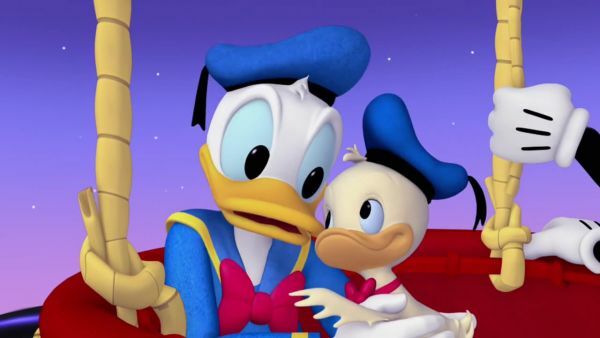 DONALD DUCK: I'm ok, Junior! GOOFY: Hold still! Whoa! MICKEY MOUSE: Good work! CLARABELLE: Stupendous! What an entrance! Now it's time to show your special talent! Ahem.